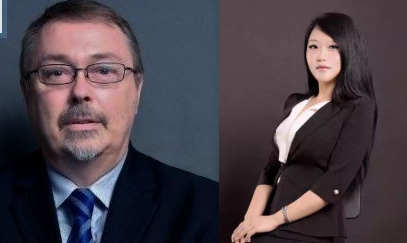 Shanghai – 2nd November 2016 – Leader in mid-senior level recruitment, ZW HR Consulting has appointed Philip Clark and Sophia Lin as the office manager for its Beijing and Shenzhen operations. In this role, Philip and Sophia will lead its ZW operations and practices across Beijing and Shenzhen. Over the past 25 years, Philip has developed a strong reputation in areas such as recruitment, Supply Chain and leadership development. 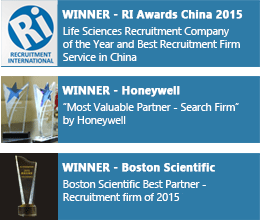 Originally from the U.K, Philip has over 13 Years China recruitment experience. Sophia started her career in recruitment and worked with two well renowned global recruitment firms as senior recruiting consultant. She specializes in middle to senior positions in Supply Chain and Sales & Marketing across different industries, such as logistics & Supply Chain, Chemical, Automotive, Electronics, FMCG and Retail. Sophia will focus on building a stronger cooperation with ZW partners and expanding business in South China. Sophia and Philip will work closely with Joyce, general manager for ZW HR Consulting in building the ZW operations in Beijing and South China. Frank Yu, Chairman for ZW HR Consulting said: “We are very fortunate to have someone with Philip and Sophia’s skill-set, networks, energy and outlook join our team,” he said. “I look forward to working with them in building the stronger ZW brand in the region. They will continue growing the team and working with clients and candidates alike as a trusted business advisor for our clients and candidates”. “We are once again showing our clientele that we are dedicated to having the very best professionals in our team to work on their staffing needs.” added Mr Yu. “I’m really impressed with ZW HR Consulting as a company, their training programmes and internal incentives are what attracted me to the firm. This is a really exciting time to join ZW, the business is rapidly expanding and reaching out to new geographical areas”, said Mr Clark. Ms Lin said, “I am excited about the opportunity ZW presents and I look forward to playing my part in growing the Industry Practice across South China”. ZW HR Consulting is headquartered at 20/F, Huiyin Building, No.758 West Nanjing Road, Shanghai, 200041. For more information visit www.zwhrconsulting.com. ZW HR Consulting, an award winning executive search firm was originally founded in 1998, provides recruitment solutions focused on mid-senior level professionals. Copyright© 2018 仲望咨询|ZW HR Consulting - Asia’s leading executive search firm.